The joy of yacht ownership is that technically, you should be able to enjoy sailing anywhere in the world. 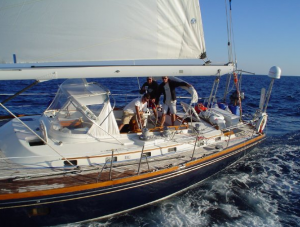 Unfortunately, the logistics of getting your yacht out of the Solent and ready to sail in the Med, the Canaries or further afield is often a deterrent to even the most ambitious and ardent boat owner. We will organise all logistics, paperwork, crew, entry clearances and arrange to get your vessel to where you need it to be in order to allow you to fully enjoy the benefits of your yacht. Most often we sail to the destination, but if necessary due to weather conditions or other parameters, we can also arrange shipping of your vessel.